WHAT A SURPRISE! 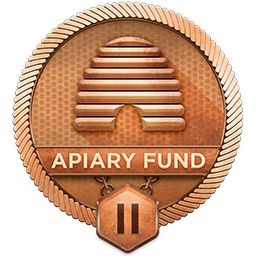 I CHANCED ON APIARY ON MY EMAIL LIST. SOMEHOW I DIDN'T DELETE IT WHICH IS WHAT I DO MOST OF THE TIME FOR ANY UNFAMILIAR AND UNKNOWN MESSAGE(S). BUT I THANK GOD I DIDN'T. I AM DESPERATE TO FIND A JOB. I DECIDED FINALLY TO LEARN TO TRADE AND POSSIBLY GET A JOB ON WALL STREET. I WASTED MY FORTUNE TRYING TO FIND A CENTER THAT WOULD TRAIN ME. I ATTENDED AN INTRODUCTION AT THE ONLINE TRAINING ACADEMY, PROSPER TRAINING PLACE, MARKET TRADERS INSTITUTE AND MANY OTHERS WHOM I CANNOT EVEN FULLY RECOUNT FOR TIME SAKE. THEY WERE ALL A MONEY DRAIN AND TAUGHT ME NOTHING. I LEFT THEM BROKE AND OWING SEVERAL MORE THOUSANDS OF DOLLARS. I REALIZED MY ONLY WAY OUT WAS TO PRAY AND ASK GOD ALMIGHTY TO HELP ME FIND SOMEONE WHO WOULD HELP ME BY TEACHING ME THE BUSINESS OF TRADING. 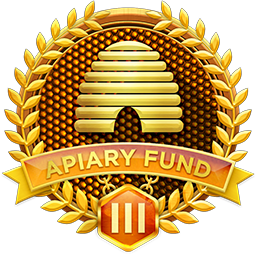 I THANK GOD FOR APIARY. THE NAME SOUNDED FUNNY. I REALLY DIDNT KNOW THE BEST PRONUNCIATION. AND THE MISSION WAS OUT OF THIS WORLD. THAT WAS ALL BECAUSE THEY ARE A GOD-SEND FOR ME AND MANY DISADVANTAGED ONES LIKE ME WHO NEEDED A HELPER AND COULD NOT FIND ONE. THE CONCEPT IS BIBLICAL AND I THANK GOD FOR THE OPPORTUNITY TO LEARN FROM THE VERY BEST. THANK YOU!!! Welcome and Please lose the caps. Some find the program easy but most don't, either way, it is not an overnight process to learn emotional control.